Ages: Our program is for boys and girls ages 5-12.  Registration: Click here or call Rabbi Levi Simon at (937) 643-0770. Tuition is per school year. The tuition fee will be billed and should be paid on time. Scholarships: Limited scholarships are available for families who need the assistance. Please call our office for scholarship assistance. Communication: We strongly encourage close communication between the staff and parents. We are deeply concerned about the progress of each individual student, and are more than willing to spend time discussing your child’s progress with you. Please do not hesitate to call us at (937) 643-0770 should any issue or question arise. Newsletters: Newsletters will be sent periodically. They will tell about progress, special events in the classes as well as any pertinent information. Your comments are always welcome, as we are always looking for new ideas and ways to improve our educational program. Encouragement: The greatest gift that you as a parent can give your child, is constant encouragement. Too much is never enough! Attendance: Our program was developed for families who take their Judaism seriously. The first step in the right direction is for parents and children to realize that attendance is the key to a successful year. Children who take off days not only miss important work, but it also gives the child the feeling that the Enrichment Program is not that important. Please schedule all appointments and extra curricular activities on other days. Punctuality: Be sure your child arrives to Chabad on time. Children who arrive late miss important lessons. Please see to it that your child is picked up promptly at the dismissal time. Dress Code: It would be appreciated if all boys wore a kippah to school. One will be provided at no charge. Baseball caps are allowed. Book Policy: All textbooks are provided to your child by Chabad “on loan.” This means that the books are made available to use in class and take home when necessary throughout the year, but must be returned at year's end. If your child should lose any of his books, you will be charged our cost per book to have it replaced. Workbooks are the property of every student. Tzedakah: Tzedakah (Charity) is a concept, which is basic to Judaism. Our school attempts to develop a commitment among our students to share with others less fortunate than themselves by donating a few pennies a day to charity. Parents are asked to provide a few pennies for the children every day. Mitzvah Note: Parents are asked to send a mitzvah note along with the children in the youngest class. This is a note that shares a good deed that the child has done. Children really look forward to hearing what their parents have to say. Snack: Our Enrichment Program has a ten minute snack period at the beginning of class in which time our students have a chance to take get ready and enjoy a snack. We provide drinks and a healthy snack.